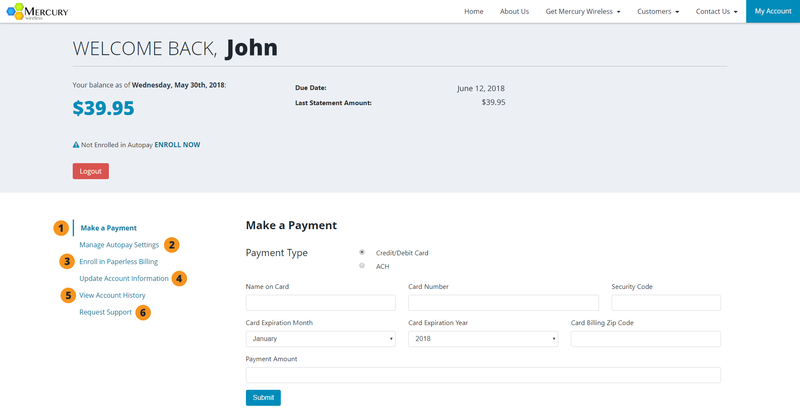 Mercury Wireless offers quick and easy access to your account online giving you the ability to manage payments, view and download statements, and updating your personal information. 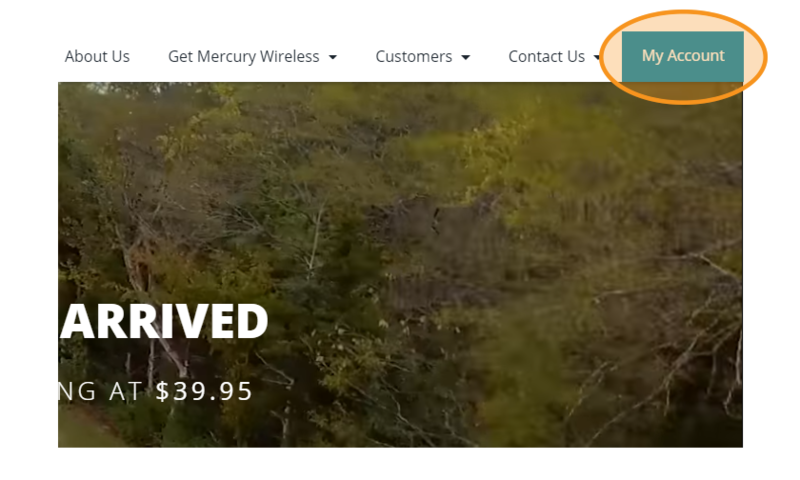 To get started visit http://www.mercurywireless.com. 2 Click on ‘Create a New Account’ to begin the account registration process. 3 On the next screen, enter your Account Number and Billing Zip Code. 4 You are now logged into your account and can update billing preferences, make payments, and more. Please help us continue to improve, let us know what you think!